This past Sept. 11th the Precision crew brought out some ramps for everyone to come get down on, and so we could do a little show case for the new B-Team riders. Casey, Wes, Nate, and Mason killed it along side the big guys on the team, Lee, Cory, John, Luke, Derek, Logan, T.J., and Jared. Matt Ratliff even came out to show some love! 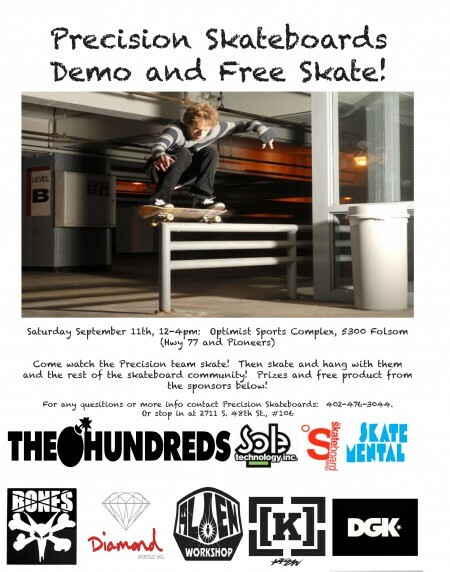 Be on the lookout for more skate jams to come in the near future put on by Precision! Thanks to DGK and Alien Workshop for the goods, and to SkateHive for the photos! Keep rollin!